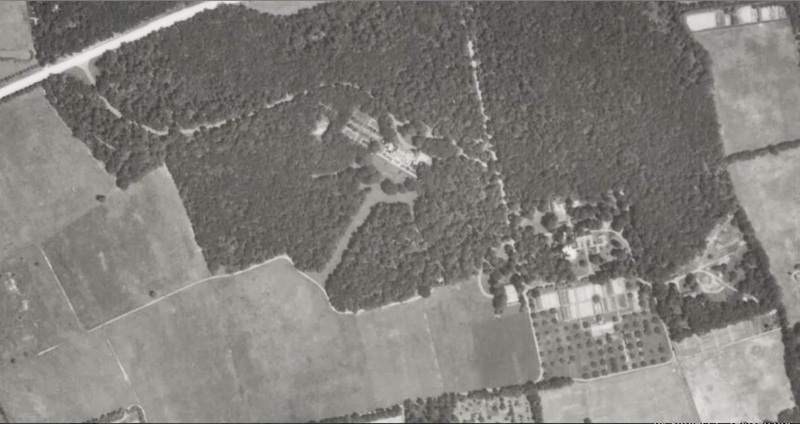 A 1938 aerial of 'Fairleigh', the George Brewster estate designed by Trowbridge & Livingston c. 1914 in Muttontown. Click HERE for more on 'Fairleigh'. Photo from Stony Brook University's Digital Archive. Beautiful shot. Brewsters death was said to have been brought on by stress from the loss of his investment at 740 Park when it went rental. Though it doesn't look like they had trouble keeping the lawn mowed in '38.